﻿ Best Price on Mansion De Chocolate in Granada + Reviews! 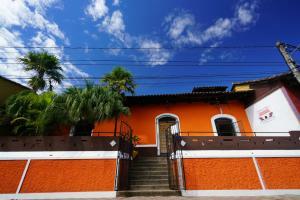 Mansion de Chocolate is a boutique hotel in an authentic colonial setting located in Granada. The breakfast is included as well as an outdoor pool and a spa and wellness center. Free WiFi access is available. 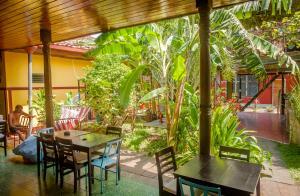 Each air-conditioned room will provide you with a cable TV and a balcony or a patio with garden views. All guest rooms include an private bathroom with a hairdryer. The property offers free parking.This colonial mansion offers 5 gardens with shared balconies where you can experience the amazing Nicaraguan sunset over the Mombacho Volcano. A 24-hour reception greets guests of Mansion De Chocolate. Other facilities offered at the property include a tour desk, a snack bar and laundry facilities. Mansion de Chocolate offers a 98 foot swimming pool, surrounded by a flowery patio and bar. Enjoy a visit to the on-site ChocoMuseo, do the bean to bar workshop' and learn everything about the history and making process of chocolate and create your own chocolate drinks and chocolate bar. Augusto Cesar Sandino International Airport is 21 mi away. For apartments cleaning is twice a week . Guests are required to show a photo ID and credit card upon check-in. Please note that all Special Requests are subject to availability and additional charges may apply.